All Dabond threads are UV and mildew resistant and have the added protection of a NANO finish to extend the life of the thread. Dabond® is the perfect thread for all marine applications. Anti-Wick coating helps to prevent leakage through seams. Dabond® is a Registered Trademark of Coats, N.A. 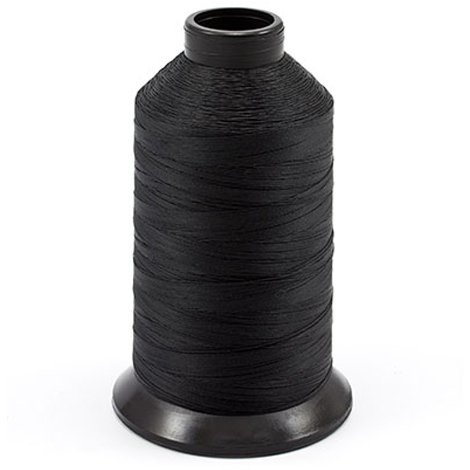 Dabond® Anti-Wick sewing thread by Coats North America is a 100% polyester thread that encompasses sewability, strength, reliability of performance and cost effectiveness. All Dabond threads are UV and mildew resistant and have the added protection of a NANO finish to extend the life of the thread. The additional anti-wick finish helps to protect against seam leakage in marine applications. Dabond threads have a left machine twist but a right twist is available by special order.